The Crystal Chalet awaits your relaxation. snow. All of our properties are upscale and completely furnished. 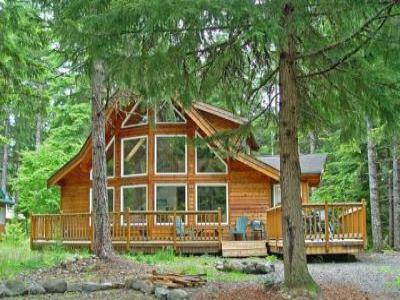 stocked kitchens, hot tubs, DVD/VCR, outdoor fire pits,. cruise to Mt Rainier, or hike trails galore. Prices beginning as low as $99/night and ranging to $299/night.